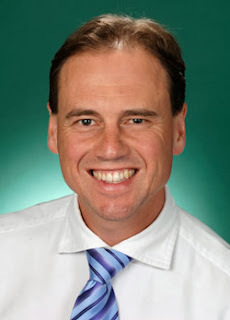 I am starting to feel sorry for the Honourable Greg Hunt. Kathleen Noonan wrote an article in the Courier Mail on the weekend about Bimblebox Nature Reserve and Waratah Coal’s China First mine. The Galilee Coal project has already been approved by the Qld State Government's Coordinator General, subject to a review by the Federal Government to consider "matters of national environment significance" and perhaps some impacts on water. Ms Noonan encourages those who are a little uncomfortable with any of that 'due process'', to email greg.hunt.mp@environment.gov.au. The former Labor Government introduced the water trigger, an amendment to the EPBC Act - the EPBC Amendment Bill 2013 – passed the Parliament on 19 June 2013. The water trigger allows the impacts of proposed large coal mining developments on water resources to be comprehensively assessed at a national level. Previous Environment Ministers have actively administered the Federal Government's responsibilities to consider matters of national environment significance but it appears Greg Hunt will soon hand those responsibilities back to State Governments. I also note there are 1 million women putting pressure on Greg Hunt to attend the United Nations Climate Summit in Warsaw this week. Greg may be a little busy with the Australian Government's new Cleaner Environment Plan. Congratulations on your re-election to the House of Representatives and your appointment as Minister for the Environment. It is also great to have someone with your background responsible for the climate portfolio. It must be disappointing for you, that you are not representing the Australian people at the United Nations Climate negotiations in Warsaw, Poland this week. It must also be frustrating to be in the spotlight for the Qld Government's approval of the Galilee Coal project. I realise that you now have limited responsibilities for administration of matters of National environmental significance. I understand the State Governments want to be "one stop shops" for Environmental approvals. I am grateful that the impacts of the Galilee Coal development on water resources is to be comprehensively assessed at a national level. I wish you all the best with the implementation of the Cleaner Environment Plan.